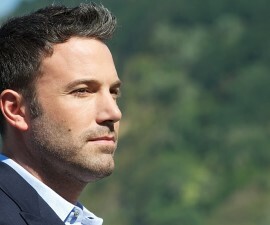 Does Lavender Oil Work for Receding Hairline? When it comes to treating receding hairline, there are some treatments to choose from. Topical solution such as propecia is one of the most common choices, though the problem can return when you stop taking the treatment. 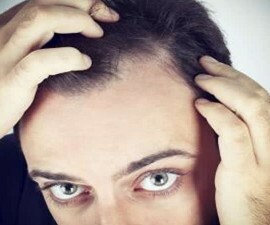 Hair transplantation is another choice, but it is quite costly! How about lavender oil? Does it work? It can be attributed by several causes. But typically, it is associated with a condition called male pattern baldness (MPB), an inherited condition in which hair follicles become more sensitive to DHT (dihydrotestosterone). Learn also how to know when your hair loss is hereditary! Not all men with high DHT experience male pattern baldness. But for those with a family history of pattern baldness, DHT often successfully ruin their hair follicles. DHT is an androgen derived from male hormone, testosterone. 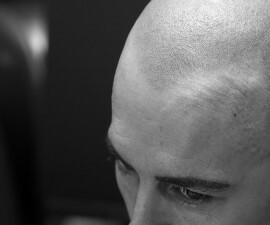 Propecia has been officially approved for male pattern baldness, including receding hairline. It can help inhibit the production of excess DHT in men with MPB. Interestingly, female pattern baldness is usually not linked to DHT. Therefore the treatment can be slightly different. For instance, propecia is not recommended for female pattern baldness – instead, minoxidil is more recommended. Receding hairline is rarely found in women with pattern baldness. They usually experience thinning hair all over the scalp. That’s why women are often unable to take hair transplant, because they don’t have a stable donor site. The prognosis of the problem can vary. But in general, the kind of treatment you take can significantly affect how far the problem will progress (see also stages of receding hairline). While some are able to cope with the problem, others fail and may eventually develop baldness (either partial or complete baldness). Hair loss can be attributed by lots of things, even in some cases it is linked to particular health problems and the treatment is necessary. But luckily, receding hairline is usually harmless. Typically it doesn’t pose to any health risk. In general, the treatment is optional! Most of the time, it is only for cosmetic reason. Even it’s also not uncommon to see some men ignore the problem (left untreated)! What is lavender oil for? Lavender is an herb plant native to the Mediterranean’s mountain regions and northern Africa. It is a foxy herb for a number of health conditions. The oil of lavender, coming from the distillation of the flower spikes of the plant, contains some medicinal properties such as anti-inflammatory and antiseptic properties. Some studies show that lavender oil (taking by mouth) may help prevent and improve anxiety and related conditions. But it doesn’t work better than anti-anxiety medicationlorazepam! Furthermore, lavender could be used as an effective therapy for dental anxiety – according to a cluster randomized-controlled trial. This trial found that adult patients, who were exposed to lavender scent while waiting for their dental appointment, had lower levels of anxiety. Lavender oil is also an effective treatment for wound healing, according to a study published in the journal Evidence-Based Complementary and Alternative Medicine (2014). Researchers compared the several different wound healing treatments (saline solution, TENS ‘transcutaneous electrical nerve stimulation’, lavender oil, and povidine-iodin) on laboratory rats. And what they found, lavender oil and TENS worked better. Another benefit, it can help fight against fungal infection – some studies have confirmed! It has wide-spectrum antifungal activity. It is effective for a whole range of skin-pathogenic strains. Lavender is possibly effective for a variety of digestive problems such as lack of appetite, upset stomach, flatulence, nausea, and vomiting. It may also work for painful conditions such as toothaches, nerve pain, sprains, headache, sore, and joint pain. Some people use it for acne and even cancer, though there is no insufficient evidence to support these uses. In foods and beverages, it can be used to enhance the flavor. And in manufacturing, it is quite common in pharmaceutical products and ingredient in soap, perfume, shampoo, etc. Lavender seems to have sedating effects that might help relax muscles and improve blood circulation. But does it work for hair loss, too? Lavender oil may help treat hair loss in people with alopecia areata. Research suggests that it can help stimulate hair growth by as much as 44 percent after 7 months of the treatment, especially true when it is topically applied in combination with oils from rosemary, cedarwood, and thyme. Alopecia areata is typically characterized by patchy hair loss which usually starts with one or some circular bald patches. It can occur suddenly and affect some /all areas of the body (not only the scalp). The exact cause still remains puzzling. But it’ usually associated with the abnormality of immune system (autoimmune disorder) – without known reason the body immune system mistakenly attacks and destroys the hair follicles. How about receding hairline of male pattern baldness? Can lavender oil help if you have this kind of hair loss problem?